Last night Funkmaster Flex premiered the official remix of Smoke DZA’s “Errthang Valid” featuring fellow Harlemites A$AP Rocky and Cam’ron on Hot 97 in New York City. Today the explicit and official version of the song is now available. R.F.C. is also proud to share the official artwork (above) and track list (below) for their upcoming album, The Outsiders. R.F.C. is an all-star ensemble, comprised of Al-Doe, Bluntsmoker, NymLo, and producer 183rd, helmed by Harlem native Smoke DZA. Recently, Smoke DZA launched his own label, R.F.C. Music Group. 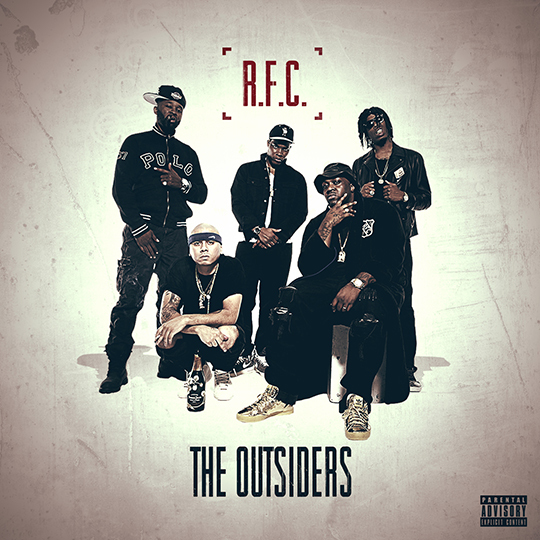 The label has partnered with iHipHop Distribution to release R.F.C.’s debut album, The Outsiders, worldwide on November 18th.